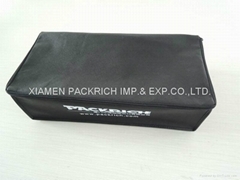 Dear Sirs/Madam, You are warming welcomed to Xiamen PACKRICH IMP. & EXP. CO. LTD. 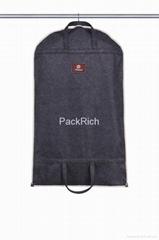 Founded in 1999, Xiamen PACKRICH becomes from a small trading firm to today a leading company in the field with import and export capability plus its 3 manufacturing factories around China. 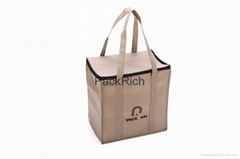 We mainly engage in the fabricating and trading of environment protection packing products including Non-woven as well as PVC/PEVA/EVA bags/covers/boxes such as, but not limit to, Shopping Bag, Tote Bag, Garment Cover, Suit Bags/Covers, Wine Bottle Bags, Cooler Bags, Bridal Cover, Medical Disposable Products, Gown Bag, Laundry Bags, Drawstring Bags and Aviation Consumable Products etc. We offer varied and exclusive ranges of multi-purpose bags/covers/boxes in classic and contemporary styles. Our plant is equipped with state-of-the-art production facilities and manned by trained personnel. The production capacity is 10, 000 bags per day. This allows us substantial economies of scale and we pass that on to our clients in terms of price benefits. We never compromise on quality. Although the production quantity is high, quality inspection is stringent and aimed at offering zero-defect products. We kindly invite your orders and chances for us to provide the best service to you in this line. We would also very appreciate for your interest in our products and are pleased to have mutual cooperation with you for any business opportunities. Your query or any questions are welcomed at any time. We sincerely wish to have the chance to supply you with our products and service with the best quality on the base of our competitive prices.